A-Crass_02.jpg, originally uploaded by greg C photography™. 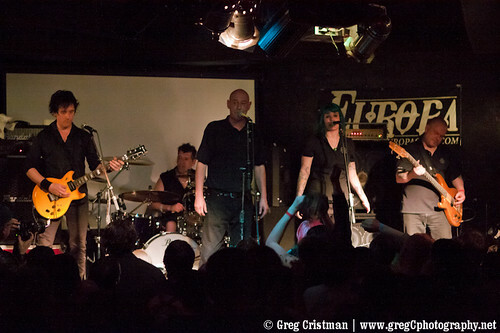 On April 20th I photographed Crass, A.P.P.L.E., Thulsa Doom & Dog That Bites Everyone at Europa in Brooklyn, NY. Unfortunately, and tragically, I somehow lost the compact flash card with all the performance shots. I had changed cards and only have a couple full stage shots taken at the very end of the encore, and a handful of portrait shots taken backstage after the show. I've given up hope of ever seeing the card again so I'm belatedly posting the link to the only surviving photos from the evening. To make matters worse I was given an opportunity to shoot Crass when they returned for the final date of the tour but fell ill and was unable to attend. If anyone reading this happened to have found my compact flash card (an 8GG Sandisk) I would GREATLY appreciate your returning it to me.